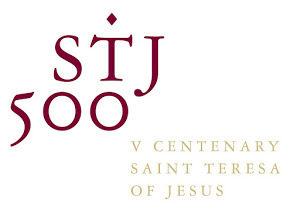 The Estipona Group has been hired by the Discalced Carmelite Friars of the California-Arizona Province to help publicize the organization’s celebration of the 500th anniversary of the birth of Saint Teresa of Avila — founder of the Discalced Carmelite Order, Roman Catholic saint and first woman Doctor of the Church. The region served by the Western U.S. Discalced Carmelites includes Washington, Oregon, California, Arizona, Idaho, Utah, Colorado, Nevada, New Mexico, Wyoming, Montana, Alaska and Hawaii, though the event will connect Carmelites from around the globe. This fifth centenary international celebration will take place in San Jose, Calif., August 21 through 23 and include three world premieres: A concert, which will include an opera scene composed and performed by world-renowned New York Metropolitan mezzo-soprano Dolora Zajick; and two virtual choirs made up of members of the Discalced Carmelite Order from around the world. The two virtual choirs will be produced by Scott Haines, who produced the virtual choir sensation Lux Aurumque — which has received more than four million YouTube views since its 2010 premiere. Both pieces being used in the Carmelite virtual choirs were composed by Sister Claire Sokol, OCD — a member of Carmel of Reno and one of the moving forces behind the San Jose celebration. Work already has begun on a documentary produced by KNPB Channel 5 Public Broadcasting, the PBS Member Station in Reno, Nevada. The program, scheduled to air in late 2014, will capture the planning process, the production of the virtual choirs and the San Jose celebration itself, with interviews of key players including Haines, Sister Claire, Zajick and other participants. KNPB plans to offer the program for national distribution. For more information about the celebration or virtual choirs, click here. The Estipona Group is a Reno-based communication agency specializing in advertising, public relations, social media and all facets of audience engagement. The firm’s 20-year history includes five years as a forward-thinking and client-friendly virtual agency, with all employees working from home offices and collective workspace. Follow the Estipona Group on Facebook.